Christophe Perrot‐Minot returned to his family domaine in Morey‐St‐Denis in 1991 after spending several years in Burgundy’s Cote d’Or working as a courtier, or liaison between growers and negociants. Prior to his arrival, his father Henri had operated primarily as a grower, selling the majority of the family production in bulk. With the arrival of his son Christophe, the focus was shifted and all but a small portion of the Passetoutgrain was now being bottled under the Perrot‐Minot label. Early on, Christophe was determined, and the young, articulate vigneron spent the first several years experimenting and learning. In 2000 he was able to increase the small Perrot‐Minot domaine by purchasing the Pernin‐Rossin estate. 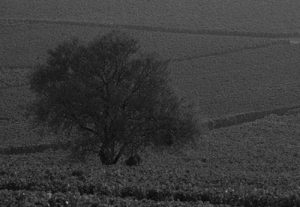 The acquisition gave Christophe many old‐vine parcels in the Cote‐de‐Nuits, bringing the total area of the domaine to more than 9 hectares. 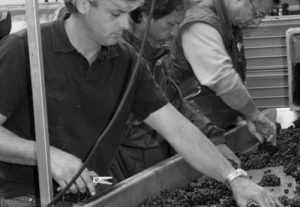 With his newly expanded holdings and with the benefit of a decade of experience, Christophe began making wine that forced people to sit up and take notice. His stunning 2002’s launched him into stardom and established Christophe among Burgundy’s elite. By the early part of the 2000s, Christophe had transitioned from a young, inquisitive winemaker trying to find his way, to an experienced one who was just beginning to tap into his and his domaine’s potential. In the early years, Christophe employed techniques aimed at extracting and dressing up his wines. With time and experience, he had shifted to an approach that demanded less intervention in the cellar and relied more on letting his great terroirs speak. Today, Christophefarms with an eye towards limiting yields to less than 40hl/ha for his villages and around 20 to 25hl/ha for his Grand Crus. Pressing is done with the lightest of touches here utilizing only the free run juice, and the wines are not punched down, preferring to gently pump over just enough to keep the must wet. After fermentation, the wines are racked into Oak barrels and aged for up to 18 months before bottling. The percentage of new wood has decreased here over the years to a maximum of 30% to 40% for the Grand Crus.